It's proven that kids need active play to be healthy and fulfilled. We've put together an amazing list of fun activities kids will love, and matched them up with specific personality types. Some variant of that comment—spoken by an elder family member to a kid—has to be one of the most common lines of conversation heard in households since the advent of the internet (and probably before). It’s 2018—and the things that mean “fun” to kids today are different from what they were 60, 40 or even 10 years ago. 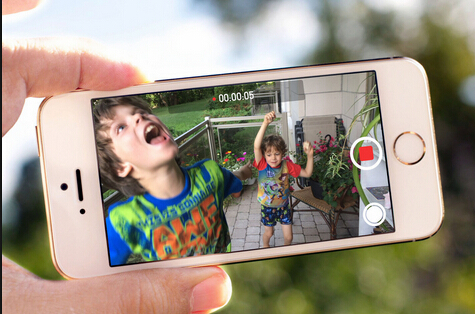 With the advent of technology, kids have more ways than ever to entertain themselves. It just so happens that most of those ways don’t involve physical activity, which is essential for the health and development of all kids. Thankfully, we’ve created this guide as the ultimate solution! We’ve matched 6 different kid personality types with fun activity ideas that they will absolutely love. Before we dive into our fun activities for kids, let’s check out some of the information out there that points to kids needing more physical activity. Sure, technology use gives parents a window into their kids’ interests—but one of it’s main downfalls is its tendency to keep kids on the couch and away from the physical play they need each day to stay healthy. The 2008 US Physical Activity Guidelines for Americans recommends that children spend at least 60 minutes per day physically active. The CDC has found that this amount of physical activity lowers risk of disease and mental illness later in life. It also found that physically active children tend to have higher cognitive performance such as concentration and memory than their less active peers. These factors tend to lead to better grades, school attendance and good behavior in the classroom. Better grades? Parents, we can get on board with that, right? Yes, the average child needs less screen time and more active time. That’s a fact. But taking screen time away, or simply limiting it, isn’t always the best solution. If anything, it’s a band aid. Kids want to have fun! Ultimately, it falls on parents to find activities that are more desirable than tech time. The best way to identify these activities is to consider your kid’s personality and to understand their favorite apps, games and platforms. Let’s take a look at some of these personality traits, along with interests that go along with them. Wouldn’t you like to see that iPad become an afterthought? Well that’s what’s about to happen. Here are some of the most prevalent traits among young kids, along with a curated list of activities for each personality type. These activities are great year-round! No need to wait for the seasons to change to have fun! Ready to leave the tech time behind? Keep in mind, your kid may embody more than one of these personality types, so feel free to mix and match activities! Your kid always needs to be the fastest, the smartest and most importantly, the winner. Competitor kids tend to be high performers athletically and academically, but they can also get enthralled with the endless competition of online video games or social media. They need to “beat the game” instead of being happy just playing it, which can lead to a desire to stretch the limits on screen time. Laser tag is one of the best exercise games for kids, period. Really, it’s perfect for kids (or even adults) of all ages. It’s competitive, adrenaline-pumping and just plain fun. Best of all, it’s a natural and safe activity for kids who are enthralled by shooter games, and an opportunity for kids to do what they love in a social environment with friends and family around. Organized sports are the quintessential competitive activity for kids of all ages. Competitive kids who start playing sports early are likely to channel their competitiveness into their sports of choice, which will keep them on the field and off their screens. The lighting bolt is the kid who never stops, and could probably run a marathon without training, after eating an eggo waffle and a single square of chocolate. Parents of lightning bolt kids—you know who you are. Parents of lighting bolt kids are extremely susceptible to letting their kids enjoy too much tech time because it seems to be the only thing that calms their kids down and stops them from running around the house like a tasmanian devil. Lightning bolt kids often have a need for speed and aren’t scared of anything. 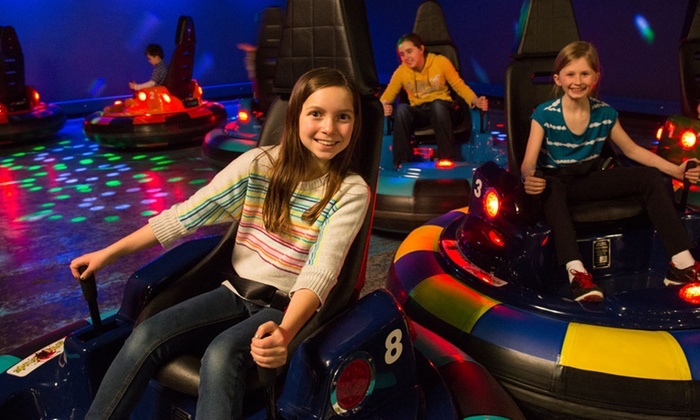 Why not let them blow off some steam on exciting Go Karts? They can hone their racing skills all day long. It definitely beats any racing game on their Nintendo. Go Karting is yet another excellent activity for kids of just about any age. Is there anything more exciting to an energetic kid than the prospect of ramming into their friends’ vehicles over and over? Bumper cars must have been invented by a kid with a lightning bolt personality. There’s simply no other explanation. The builder is the kid who used to show off amazing lego creations and backyard forts. But these creations have diminished or been taken over completely by Minecraft, or one of thousands more games designed to keep users engaged and obsessed in their own virtual world for hours at a time. Builder kids are creative, and they love to “build” toward an achievement, enjoying the process just as much as the end result (which explains those countless hours of gaming). Arcade games? For kids who like to build? Remember when you were a kid and had the opportunity to go to an arcade? Chances are, you had your eyes on the prizes just as much as you did on the games themselves, which are extremely fun on their own. Your kids are no different, and a “builder” will love going from game to game building toward a major prize. When it comes to indoor fun for kids, never overlook a great arcade. Most schools don’t offer shop class or home economics anymore—but builder kids love to create new things and learn new processes for doing so. 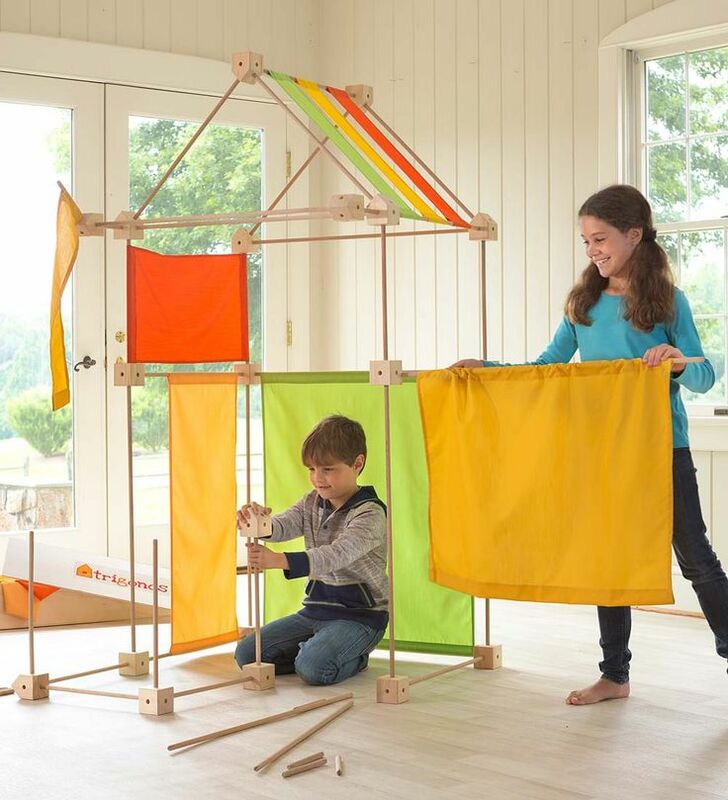 Building homemade furniture is a more advanced way to stimulate a kid’s mind, drain some of their energy, and teach valuable skills they will need later in life. You can make it a big project, going to the store together for supplies, prepping all of the materials, and then building the object step by step. Just make sure you supervise closely and don’t let your child handle any dangerous equipment! For cooking together, try to make the experience as engaging as possible. Have your kid find a recipe online. You can shop for the ingredients together, do all of the prep, and cook or bake a wonderful dish as a family. The analyst is the kid who loves to learn. Often, analysts are great students and are inquisitive and engaged in many aspects of life. Analysts love to explore the depths of the internet for information and funny content. School textbooks just don’t satisfy the itch, because they’re a static learning source that can’t compete with an internet teeming with dynamic information to be discovered. This is where things can go awry, as analysts can often get sucked into so much technology usage that it distracts them from from the schoolwork and chores they need to get done. Back to basics, and there’s nothing wrong with that. Analytical kids (and any kids, for that matter) love learning about animals and interacting with them. 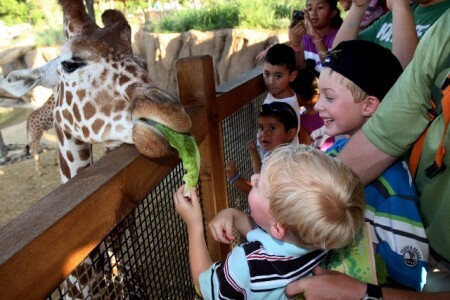 That’s why zoos have been around forever and are still a favorite for families all around the world. Not to mention, walking from end to end and seeing all the animals can be quite the haul on a warm Summer day, giving your kids all the exercise they need. Is your kid strategic and energetic? Why not give them an amazing, challenging and energy-draining experience? A time challenge is an exhilarating and energy-draining activity where kids race against time to push as many light-up buttons in a room as possible. Their games from the App Store simply can’t compete. Critics are creative, artistic, and usually have a great sense of humor. You’ll find the critic kid laughing at an endless supply of YouTube videos, memes and other online content, and sharing this content with friends. Kids don’t just watch funny content for mindless enjoyment. In fact, you’ve probably seen your kid and his friends imitating funny things they’ve seen online and wondered what they were talking about. The best news is that critics, like builders, would love nothing more than to create something that simulates or improve upon what they’ve seen online. In case you haven’t noticed, your kid’s cell phone (or yours, if he doesn’t have one yet), has a better video camera than the top-of-the-line camcorder from when you were his age. Have your kid’s friends over and have them put together every single element of a movie, from costume and set design to script-writing to acting, filming and editing. You’ll be amazed how great it turns out, and it’s something you will love watching in 10 years. It’s a rain or shine activity that can keep kids busy for multiple playdates—or it can be a family project! The adventurer is passionate about great stories, and is inspired to live a life of discovery. You may find your adventurer fashioning a slingshot or a makeshift bow and arrow out of sticks in the backyard and materials from a junk drawer. Adventurers are crafty, but not for the sake of crafting. They want to find a way to simulate missions, skills and journeys they read in books, play through in video games, or see on TV. So why not help them out? 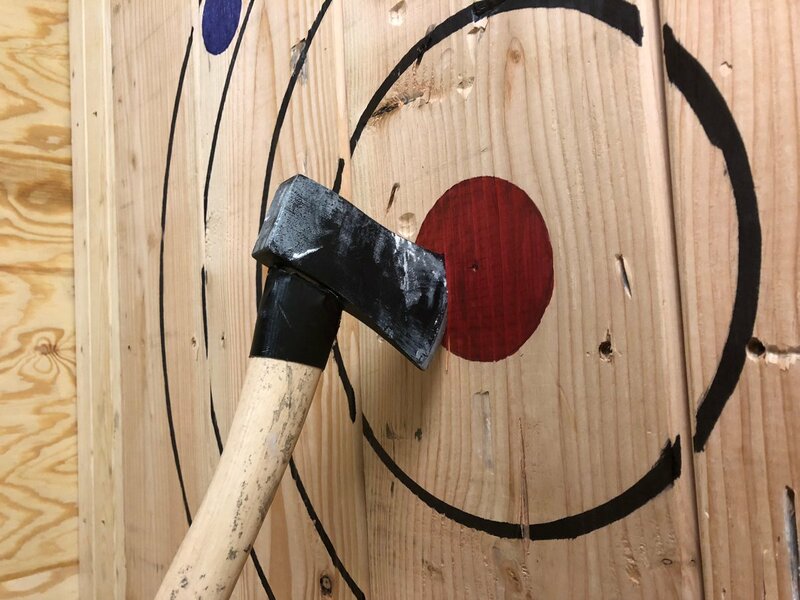 Axe throwing will also help your kids be more conscious of their own safety, as they will need to know how to adhere to the safety standards of the sport and the venue. 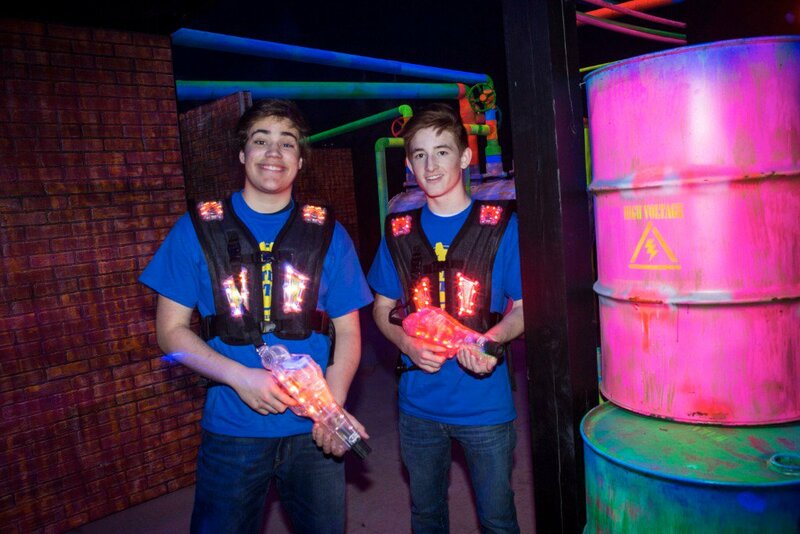 For example, at Big Thrill Factory, we allow kids 11 and up into our hurling hall with parents or guardians present, and have certified axeperts on hand to teach technique and safety. While axe throwing is an activity that adults love, it’s also perfect for older kids with a spirit for adventure. You can’t go go karting or axe throwing every day with your kids (or can you…?). But the potential for fun, action-packed activities is endless when it comes to children. All you need to know is what interests them. Technology shouldn’t be seen as an entity that makes the lives of parents more difficult. It can be leveraged as a tool to create an understanding of what children love to do, and what they enjoy learning about. It becomes a parent’s job to decipher this information and engage their children in activities that create superior, real-life versions of the digital activities they hold so dear. Whether it’s games, forums, YouTube videos or movies—your kid’s technology use can give you great ideas for you to channel your kid’s energy into a more active activity. While this may seem daunting, the smile on your kid’s face will make it well worth the effort. Still struggling to find the perfect embodiment of active fun for your kids? Family entertainment centers like Big Thrill Factory have both outdoor attractions and indoor activities for rainy days fit the personality of any kid. Whether your kid is a daredevil, a gamer or a strategist, they will feel right at home, and you’ll be able to sit back and relax as they have fun and experience the benefits of physical exercise.